OMG! Your kids have lice. How did this happen? And so begins the finger pointing. 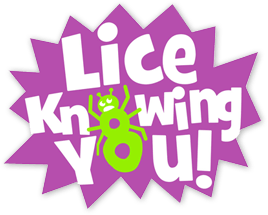 On any given day in our Lice Knowing You clinics across Seattle and Portland you will hear parents or other family members trying to figure out which neighborhood kid, carpool buddy or sleepover friend gave lice to their child. People can get downright mean when discussing this including talking about a families hygiene or economic status as if this is to blame for their current situation. The reality is lice like clean hair, not dirty hair, and they don’t discriminate based on your financials. Most of the time it’s hard to pinpoint where exactly you got lice and from whom. When lice gets into a school community, they can stick around for the better part of the school year unless frequent checks are happening and parents are handling the situation properly at home. Finger pointing doesn’t solve a lice problem and it can cause lasting effects on friendships and even self-esteem. Parents—your kids can hear you. So when you are blaming little Tommy or Sally for your lice problem, your kids are often repeating this to other kids and it can cause the “suspects” lasting pain and ostracism. No finger pointing. Does it really matter where you got it from? What matters is you tell those you’ve been around in the last week or two so they can check their families so it doesn’t continue to circulate in your group. Let your school know and don’t be surprised when they don’t do very much about it! Schools now let your kids attend when they have lice. It is important that they know so that they can track trends and sometimes do spot checks when there are several cases in a classroom. Teachers should also know so that they can clean appropriately. Once a week “sneak a peek”. Remember to check your kids weekly with a lice comb. This will help avoid a major lice issue in your household. If you do you have lice treat it properly. All lice and their eggs (nits) need to be removed from the hair in order to guarantee you are done with an infestation. Whether you do it professionally or if you decide to do it yourself, everything needs to be removed. There is no way around it no matter what a product says or what your neighbor tells you. Remember that 99% of the head lice issue is on the head and a very small percentage is in environment. You don’t need to go crazy cleaning your house and bagging up all of your belongings. Consult a professional if you are unsure what to do. Bottom line, there are many worse things in life than head lice. We promise. Look at your experience as a rite of passage. You will now be more educated and knowledgeable about what to do if this ever occurs again. And for goodness sakes, don’t finger-point!